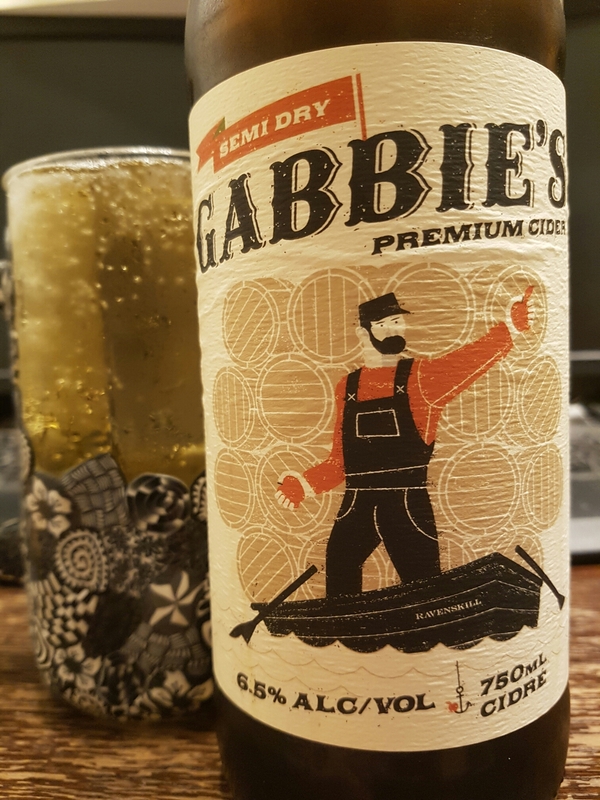 Gabbie’s Premium Semi-Dry Cider – Ravenskill Orchards (Gabriola Island, BC, Canada) | Justintoxicated. Visual: Wrinkly paper sticker label. Pours clear dirty yellow with no head, very loose clusters of slow steady streams. Summary: Pretty ordinary actually, nothing in the flavour strikes me as “premium” at all. 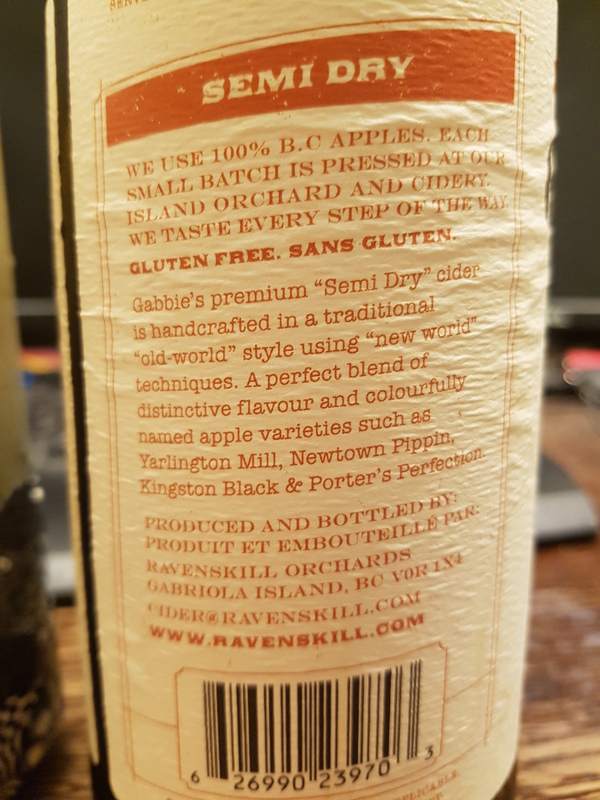 It’s clean and direct from start to finish – mainly apple with a hint of wine, but the taste certainly doesn’t justify the price at $20/bottle.